For other uses, see Diastema (disambiguation). A diastema (plural diastemata) is a space or gap between two teeth. Many species of mammals have diastemata as a normal feature, most commonly between the incisors and molars. Diastemata are common for children and can exist in adult teeth as well. Diastemata are primarily caused by imbalance in the relationship between the jaw and the size of teeth. If the labial frenulum (lip tissue) pulls, it can also push the teeth apart and cause a diastema between the center of the two front teeth. 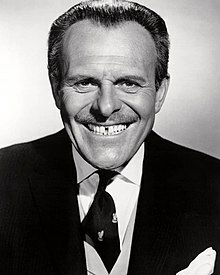 Actor Terry-Thomas was known for his 1⁄3-inch (8.5 mm) diastema. In humans, the term is most commonly applied to an open space between the upper incisors (front teeth). It happens when there is an unequal relationship between the size of the teeth and the jaw. Diastema is sometimes caused or exacerbated by the action of a labial frenulum (the tissue connecting the lip to the gum) causing high mucosal attachment and less attached keratinized tissue which is more prone to recession or by tongue thrusting, which can push the teeth apart. 1. Determining the cause of the diastema then treat the cause. 2. Diastema treatment options can differ from one patient to another, but generally it is treated by orthodontics, or composite fillings or combination of veneers or crowns. In The Canterbury Tales, Geoffrey Chaucer wrote of the "gap-toothed wife of Bath". As early as this time period, the gap between the front teeth, especially in women, was associated with lustful characteristics. Thus, the implication in describing "the gap-toothed wife of Bath" is that she is a middle-aged woman with insatiable lust. This has no scientific basis, but it has been a common premise in folklore since the Middle Ages. In Ghana, Namibia and Nigeria, diastemata are regarded as being attractive and a sign of fertility, and some people have even had them created through cosmetic dentistry. In France, they are called "dents du bonheur" ("lucky/happiness teeth"). This expression originated in Napoleon's time: when the Napoleonic army recruited, it was imperative that soldiers had incisors in perfect condition because they had to open the paper cartridges (containing powder and ball) with their teeth when loading their muskets. All those who had teeth apart were then classified as unfit to fight. Some men broke their own teeth to avoid going to war. Les Blank's Gap-Toothed Women is a documentary film about diastematic women. Some well-known people noted for having diastema include country music singer Charley Pride; models Jessica Hart, Lindsey Wixson, Lauren Hutton, Georgia May Jagger and Lara Stone; American television news reporter and anchor Michelle Charlesworth; American football player Michael Strahan; association football player Ronaldo; tennis player Yannick Noah; actresses Vanessa Paradis, Léa Seydoux, Amira Casar, Eve Myles, Cécile de France, Béatrice Dalle, Jorja Fox, Anna Paquin and Uzo Aduba, singer/guitarist Ray Davies of The Kinks, musician Elvis Costello, actors Ernest Borgnine, Terry-Thomas, Jemaine Clement, and Jamaica's Keith 'Shebada' Ramsay; singers Madonna, Dave Brockie a.k.a. Oderus Urungus and guitarist Corey Smoot a.k.a. Flattus Maximus, both of GWAR, Melanie Martinez, Becky G, Laura Pausini, and Edmund Sylvers; singer-songwriters Elton John, Mac DeMarco and Seal; rock musician Flea; rappers 50 Cent and Pharoahe Monch; Steve Pigott; former late night TV show host David Letterman; antiques expert and TV personality Tim Wonnacott; guitarist Steve Howe; comedian Paul F. Tompkins,; professional wrestler and former TNA World Heavyweight Champion Bobby Roode; Major League Baseball player Jimmy Rollins; singer Bobby Brown and his daughter Bobbi Kristina Brown; former U.S. Secretary of State Condoleezza Rice. ; and, according to released photos, several of the children of Nicholas II of Russia. ^ Wheeler, Bryan; K. Carrico, Caroline; Shroff, Bhavna; Brickhouse, Tegman; Laskin, Daniel (2017-11-01). "Management of the Maxillary Diastema by Various Dental Specialties". Journal of Oral and Maxillofacial Surgery. 76. doi:10.1016/j.joms.2017.11.024. ^ a b Rachel Dodes (September 8, 2010). "We Don't Mind the Gap: The Fashionable Flash a New Smile". The Wall Street Journal. Retrieved 2010-09-10. ^ a b "Midline diastemata in fashion". Bite magazine website. October 14, 2010. Archived from the original on April 20, 2012. Retrieved September 10, 2010. ^ McGuiness, Romina (December 8, 2010). "The year of the gap-tooth trend". Metro. Archived from the original on March 8, 2012. Retrieved April 17, 2013. ^ Gary Hill. "Steve Howe". AllMusic. Retrieved July 23, 2014. ^ "Diastema (dentistry)". Factualworld. Retrieved 3 Apr 2014.